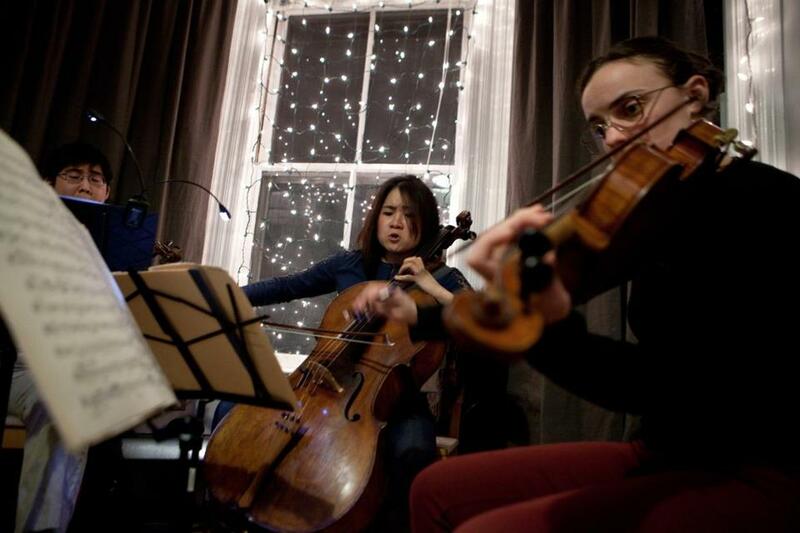 Musicians Julia Yang (left) and Shira Majoni. There is clapping between movements, as well as whistling, shouting, and even cat-calling. 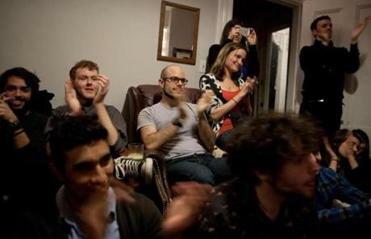 Audience members applaud a Groupmuse performance in Jamaica Plain. It probably helps that the alcohol started flowing an hour or more ago, as guests and musicians began to trickle into this cozy Jamaica Plain apartment. But there’s something else going on: This living room is full of 20-somethings — some in their socks, others recording the performance on their phones — who are genuinely excited about chamber music. The unorthodox party was organized by Groupmuse, a website that matches up people who want to volunteer their home for a semi-public classical musical performance with musicians and guests. Tonight, a string quartet is playing a selection of works by Mozart and the “Notturno” from Alexander Borodin’s String Quartet No. 2 in D major, to a rowdy crowd of about 30, mostly people in their 20s. Some knew the hosts previously, others are strangers who signed up online. To the right of the performers is a set of bongo drums on a minifridge. The performances are typically free, though a limited number of guests can sign up for each. 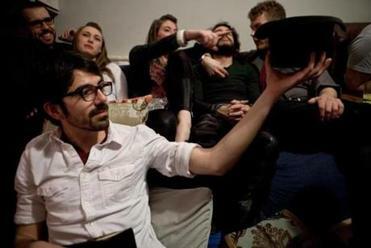 Afterward, hosts pass around a hat to reimburse the musicians. 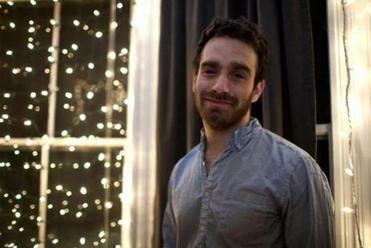 At the center of the party is Sam Bodkin, who has a booming voice and an angular beard. Bodkin started work on the fledgling Groupmuse in fall 2012, and the first event was held in January 2013, in Dedham. There have been more than 100 events, and Bodkin has attended almost all of them. Ben Arsenault passes a hat after a Groupmuse performance in Jamaica Plain. Performances are typically free, but funds raised in the hat-passing are used to reimburse the musicians. Bodkin took piano lessons in his childhood, but stopped because he “wanted to be cool” and never started playing music again. In fact, he didn’t rediscover classical music until his freshman year at Colby College, when he says he had a sort of epiphany the first time he heard the Emerson String Quartet’s recording of Beethoven’s “Great Fugue” in a friend’s basement. He became obsessed, listening to it dozens of times, eventually pulling classical albums at random from the shelves of the Newton Free Library in a frenzy to discover more. It grew into an obsession that he had difficulty explaining to his friends, and it might have stayed that way if he hadn’t transferred to Columbia University, visited a friend in Boston, and fallen in with a bohemian group of New England Conservatory students who gathered, performed, and partied around a grand piano in an Allston apartment they called Linden Hall. The rowdy setting gave Bodkin an idea: Create a social network that combines classical music with a relaxed party atmosphere. He was inspired in part by Couchsurfing.org, a website people use to host travelers, usually for free — which he used when backpacking in Europe after high school — and by his conviction that classical music is in crisis, with performance organizations struggling for revenue. The summer Bodkin graduated from Columbia, he worked as a guide at Tanglewood. His co-workers were so supportive of his idea that he decided to move home with his parents, in Newton, so that he could focus on trying to make Groupmuse a reality. At first, Bodkin hosted one Groupmuse event each month. By summer, there was one every two weeks, and now there is one nearly every day. This past weekend, there were two in Boston, one in New York City, one in San Francisco, and one in Bloomington, Ind. Events are also planned in Austin, Texas, and potential hosts in the United Kingdom, Italy, France, Bulgaria, and Singapore have expressed interest. And the BSO has partnered with Groupmuse, giving two free tickets to every first-time host. Groupmuse isn’t just attracting revelers. It also appears to be converting them — most critically millennials — into aficionados. Alex Vera, who teaches English as a Second Language at the EC Boston English Language School, never played an instrument seriously or listened to classical music until he came to his first Groupmuse event last year. Now he’s been to upward of 20, and rattles off his favorite performers and composers to friends he’s met at previous events. Also in the audience was Peter Chew, who plays viola in the Boston Philharmonic Orchestra. Chew enjoys Groupmuse events for the social aspect as well as the listening experience, but is also excited about the implications for the classical performance and recording industries. There’s certainly enthusiasm among hosts, performers, and attendees. But Bodkin and his partners, Kyle Nichols-Schmolze and Ezra Weller, who came on board after the project started to grow, are still trying to figure out how to turn their efforts into a paycheck. Groupmuse is currently funded by a campaign Bodkin ran on Upstart.com, which gave him what he said is enough to keep the project running for about a year — most of it going toward paying rent. He and his partners are likely to try a Kickstarter campaign to buy some time, and they have a few ideas for how to keep things going after that. They could sell information gathered from site users to musicians or other parties. Or they could become concert promoters, drawing on their network of performers and using Groupmuse’s appeal to young people as a selling point with established classical music venues. Bodkin is also excited about a plan to sell private, curated performances to individual hosts, and he hopes those will appeal to an older, more moneyed crowd. The fee will be split with the performers, and Bodkin is hopeful that they are close to their first sale. What’s not negotiable, he said, is that at some point during the evening everybody has to sit down and listen to some live music. Funding the project is not Bodkin’s only challenge: He’s never partied this hard before. Doing so, he said, has made him intensely protective of his free time.